See the sights, hear the history and visit the charming city squares on this Old Town Trolley Tour of Georgia's First City, Savannah for 2 full days. 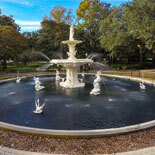 See City Market, Forsyth Park, The Mercer House, the famous River Street, and more. 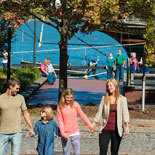 All aboard Savannah's Best Tour! Experience over 270 years of history as expert tour conductors relate the stories, sights and landmarks of Georgia's First City! 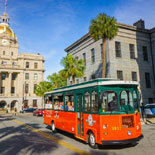 Join the fun, turn back the pages of time and relive the rich legacy of a charming and alluring southern town, on this Old Town Trolley Savannah Tour - 2 Day Pass. Tour at your own pace! Old Town Trolley Tours allows you to get off at any of the 15 stops, conveniently situated close to all the popular attractions, shops and restaurants. Trolleys depart at least every 20 minutes from all stops, so when you're ready, just re-board and it's on with the tour. And don't worry about missing any of the fun, facts and history. You have 2 Days to visit your favorite places, trolley past the others, or however you like on this tremendous Savannah tour! The second day can be taken any day. 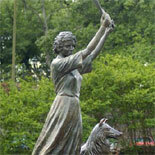 See and Visit: Davenport House, Forsyth Park, World famous River Street, City Market, Colonial Park Cemetery, Juliette Gordon Low Birthplace, Mercer House, Broughton Street, Andrew Low House, Telfair Museum, The Waving Girl, and much, much more. 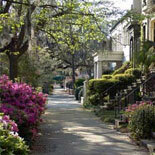 Let Old Town Trolley Tours show you all that the Charming Lady called Savannah has to offer. 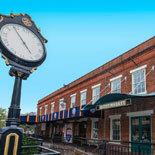 Buy your e-Ticket today for the Old Town Trolley Savannah Tour - 2 Day Pass! Patrons with eTickets (voucher) or mobile tickets can board at any Old Town Trolley boarding location. Children prices are 4-12 yrs. of age. Children 3 yrs. of age and younger are free. Tours depart from boarding locations approx. every 20 minutes. Patrons with eTickets (voucher) can board at any Old Town Trolley boarding location. 2nd day can be taken at any time. When purchasing eTickets for groups of 15 or more, please call Customer Service so that we may most effectively serve your needs. Assistance animals, such as seeing-eye dogs, are the only animals that are allowed on board the trolleys.